Hello, Good morning (or Good Afternoon depending on your time zone) we wish you all a Very Happy Christmas! And today at The Amazing Blog we've found the perfect product to feature on this post. The Lawn’s new Rose Tea Syrup is our latest discovery and....the ideal addition to any festive cocktail or sparkling champagne or soda. This new tea syrup has a hibiscus bite that cuts through the sweet taste of rose petals making it the most delicious accompaniment when splashed into a glass of fizz (be that non alcoholic or champagne!) This syrup also makes a great stocking filler for tea lovers alike. Even though today is Christmas, it is never too late to purchase a last minute gift for a family member or friend; you can even treat yourself! Forget the ubiquitous 'Bucks Fizz' for Christmas breakfast, once you taste this Rose Tea Syrup mixed with champagne you'll never look back. It is so simple to use which makes it even better. All you need to do is add a small dribble to taste of this delicious syrup and it'll wow your guests. In fact, it's Edwina's (our Exec Editor) fav tipple of the moment. Also, don’t forget to try The Lawn’s Rose Garden Fruit Tea. This tea is mixed with all natural ingredients from an English country garden including rose petals, cornflowers, and rhubarb. The Lawn’s loose tea comes in a clear jar so that its floral beauty can be displayed and admired on your kitchen shelves. The finishing result is a tea drink that looks as good as it tastes. Their teas, along with the syrup, are two products that are perfect for the Christmas festivities. The Lawn syrup and teas can be purchased on their website here. The Lawn’s Rose Tea Syrup retails for £10.00 for a 100ml bottle. A little goes a long way. And the Rose Garden Fruit Tea retails for £7.90 for a 75g jar. 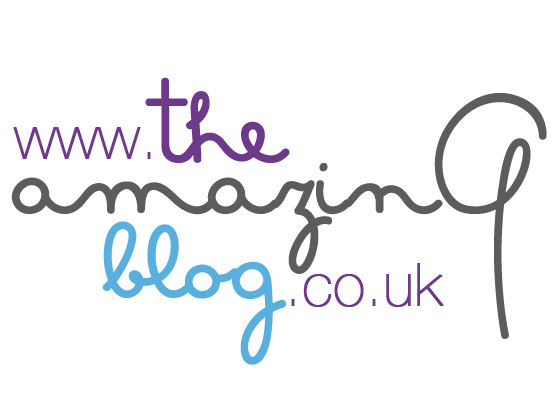 We at The Amazing Blog hope you love these products as much as we do! We'll be having a toast tonight with The Lawn’s Rose Tea Syrup with champagne to ensure a very Merry Christmas!